A liqueur made from a combination of pear juice extracted from fresh fruit and very pure alcohol. Excellent as a digestif and also suitable as a pairing with or ingredient in desserts and ice cream. 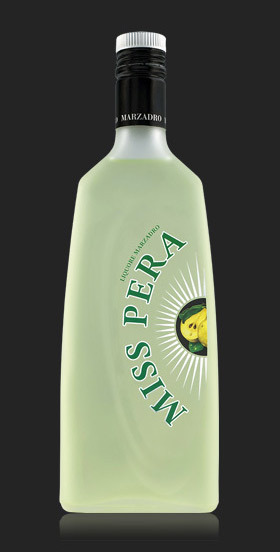 Miss Pera also comes into its own when used in original and refined cocktails. The fruit liqueurs by Marzadro are characterised by the fresh flavours typical of the mountains and woods. They are the result of the distillery's continuous efforts to strive for high quality raw materials to create products of absolute excellence.